South Carolina's state parks celebrate 75 Years of providing access to recreation, natural beauty and cultural enrichment in the Palmetto State. A generation or two ago, more people visited Sesquicentennial State Park each year than Myrtle Beach State Park. Now an urban oasis, the once-rural retreat near Columbia still attracts a couple hundred thousand visitors a year, while the S.C. State Park Service's super-popular coastal parks, including Hunting Island and Myrtle Beach, each attract more than a million visitors annually. Those raw numbers reflect the demographic changes and continuing importance of South Carolina's state parks to residents and out-of-state visitors alike. "People didn't go to the beaches in those big numbers back then. Those areas were harder to get to, for one thing, but the local parks loomed large in people's minds and hearts as places for family and friends, places to protect and places to enjoy," says Phil Gaines, director of the State Park Service. "They still do and, we hope, always will." That rich legacy and a bright future are being celebrated in a year-long recognition of the 75th anniversary of the creation of South Carolina's state parks. In 1933, the Great Depression was in full force. Congress created the Civilian Conservation Corps to give unemployed young men the opportunity to learn skills and trades while replanting forests and building parks across the United States. A few months later, the South Carolina General Assembly gave the state Forestry Commission the authority to administer "state forest parks." Land was purchased (the first was for Cheraw State Park) and work got under way across the state. The first park to open its gates was Myrtle Beach State Park, in 1934. 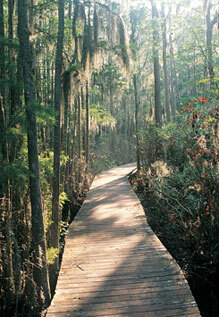 Seven decades later, an estimated 9 million people visit South Carolina's state parks each year. Now under the auspices of the S.C. Department of Parks, Recreation and Tourism, the Park Service manages 47 sites that comprise nearly 90,000 acres across the state and include more than 3,000 campsites and 200 lodge rooms, cabins and villas. "There are state parks now in every part of the state, so everyone can have access to these special places, whether it's to get together with family, appreciate the natural beauty of our state or take in the history and culture that helps make South Carolina what it is today," Gaines says. People visit state parks frequently and for a lot of reasons. 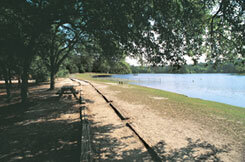 A 2007 survey conducted for SCPRT by the University of South Carolina's Institute for Public Service and Policy Research found that the average adult South Carolinian visited a state park about three times in the past year. Survey respondents cited family outings (21.5 percent), relaxation (18 percent), camping (15.8 percent), enjoying nature (15.6 percent), walking (15.5 percent) and recreation (15.3 percent), along with more than 10 percent each for picnics, cookouts and fishing. "We are the walk on the beach, the picnic under the trees, the hike in the mountains or the preserved history of our past to a lot of people in this state," Gaines says. "Our parks are as diverse as our people and the reasons they come back to visit time after time." Parks management falls into four general categories based on their individual special resources: natural areas, recreation areas, traditional state parks and historic sites. That diversity will be reflected in the 75th-anniversary celebration itself, with site-specific events to be scheduled at Charles Towne Landing State Historic Site, an archaeology-centered site that interprets the state's beginnings, and at classic, recreation-centered destinations such as Barnwell, Chester and Kings Mountain state parks. 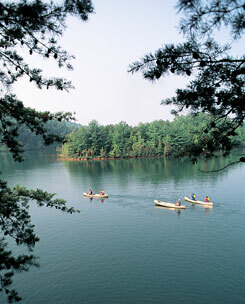 Speaking of diversity, state natural areas include such diverse properties as Woods Bay, which protects and interprets one of the largest undeveloped examples of mysterious Carolina Bays left on the mid-Atlantic coastal plain, and Keowee-Toxaway, a thousand acres of forested hillside along serene Lake Keowee in the Blue Ridge. The recreational areas, meanwhile, include many of the parks that provide access and camping along the state's large inland reservoirs, nationally known for their boating and fishing opportunities. Those parks provide increasingly valuable public access, including cabins, villas and camping, on lakes Hartwell, Russell, Thurmond, Jocassee, Wateree, Murray and Greenwood. Paris Mountain near Greenville, Santee on Lake Marion, Lake Warren near Hampton, Table Rock in the Blue Ridge and the four oceanfront parks - Myrtle Beach, Huntington Beach, Edisto Beach and Hunting Island - are examples of traditional state parks. Three antebellum plantation homes - Rose Hill near Union, Redcliffe near Aiken and Hampton near McClellanville - and Civil War battlefield Rivers Bridge along the secluded Salkehatchie River in Bamberg County - are included among the state historic sites, as are Revolutionary War battlefield site Musgrove Mill and Colonial Dorchester, where a colonial town once thrived on the banks of the Ashley River near Summerville. 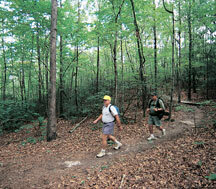 Preserving and protecting South Carolina's natural and historic heritage and providing local residents and visitors with healthy, wholesome recreational opportunities have been important parts of the driving philosophy of the State Park Service and its predecessor since the first series of sixteen parks was built by the CCC in the late 1930s and early 1940s. Many of those original parks retain structures that speak to the work of the men of the CCC, who used local materials and native ingenuity to create the parks that serve their descendants to this day. 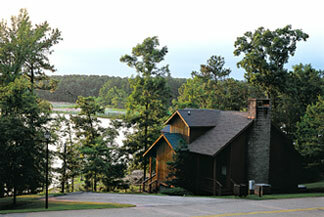 That includes examples of what's affectionately known as "parkitecture," such as the lodge with the fabulous mountain view at Table Rock and the coquina bathhouse at Poinsett State Park in Sumter County, cabins and dams at parks across the state and even the finely crafted stone culverts along roadways at Kings Mountain. In about eight years, the CCC built sixteen state parks, 129 lookout towers and 900 bridges, and planted 56 million trees across South Carolina. Their work also is commemorated at Lake Greenwood State Recreation Area, which features an interactive museum about the CCC. 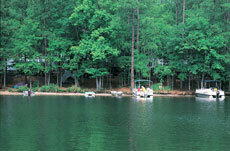 The museum is in a building also used for community meetings and other gatherings, and the park itself has been a popular campground and lake-access site for generations, exemplifying the multiple ways South Carolina's state parks are used. 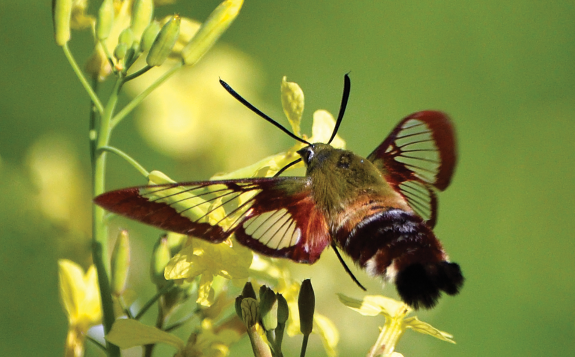 Perhaps State Park Service Director Gaines sums it up best: "These parks are about connection, about how we're connected to the land and to our past and to each other. 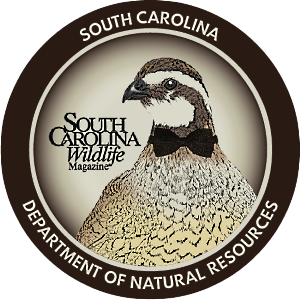 This special anniversary year is a way for the South Carolina State Park Service to really get out and share that message." Marc Rapport is the former manager of media relations for the S.C. Department of Parks, Recreation and Tourism.